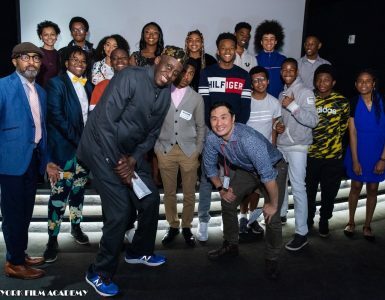 The BAFTA New York / New York Film Academy (NYFA) / DeWitt Clinton High School Digital Storytelling Program recently held its first graduation ceremony, screening the students’ newly completed short films. 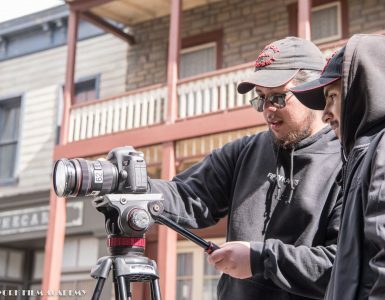 Over the course of eight weeks, ten eager and enthusiastic students made their way each Saturday from the Bronx to the NYFA’s Battery Park campus to learn the fundamentals of filmmaking. Classes in screenwriting, directing, cinematography, and editing educated the students in telling stories in a medium for which they all have a great passion. Members of the BAFTA Outreach Committee as well as faculty and administrators from both schools joined with the students’ family and friends in the celebration. Aside from newly acquired filmmaking skills, students gained from the experience a boost in confidence, self-awareness, and expression. 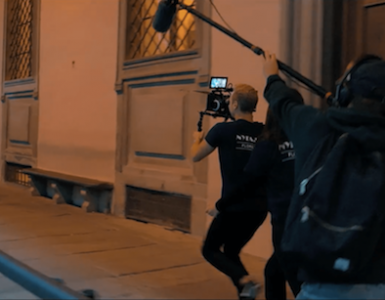 The program continues the partnership between New York Film Academy (NYFA) and the British Academy of Film and Television Arts (BAFTA) that has previously brought filmmaking workshops to young aspiring artists. 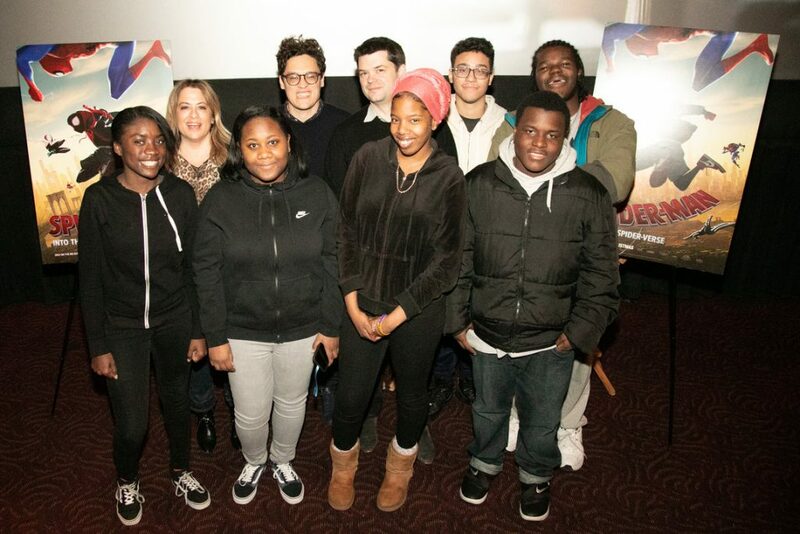 As an added treat, the DeWitt Clinton students attended an exclusive pre-opening BAFTA screening of Spider-Man: Into the Spider-Verse. 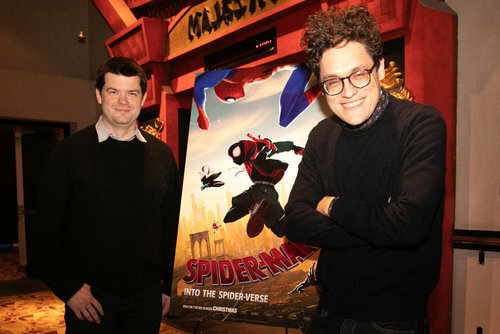 After a lively Q&A, the students spent a generous amount of time speaking with the film’s celebrated writer-producers Phil Lord and Chris Miller. Needless to say, the movie’s creators were mightily impressed when they learned that Stan Lee, founder of Marvel Comics and creator of Spider-Man, is amongst DeWitt Clinton High School’s illustrious alumni! 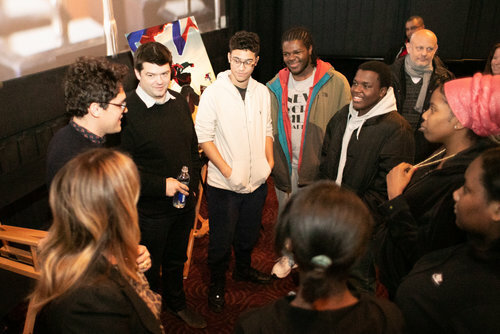 As they continue to find their voices, BAFTA New York, DeWitt Clinton High School, and New York Film Academy look forward to seeing more cinematic stories from the recent grads of their Digital Storytelling Program!